Bokken swords are great tools for training. 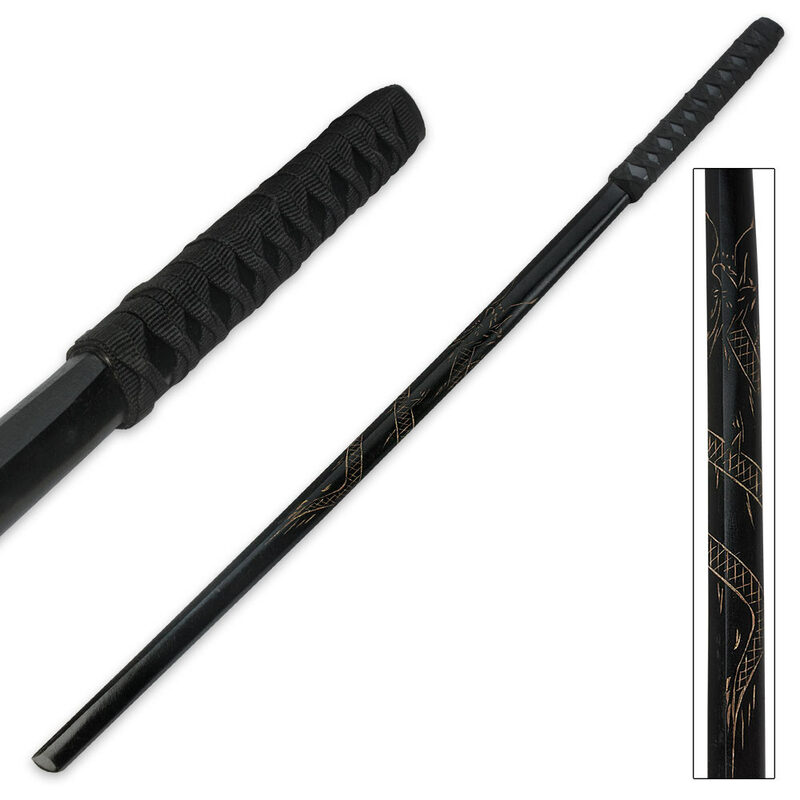 Train with ease and style with this hand-carved bokken Samurai sword! The black wood sword features hand-carved dragon details and a cord-wrapped handle. The sword is nice with a dragon etched into the wood.